Most Recent Recipients Washington County Retired Educational Personnel Association Website. teachers. These awards were made possible from WCREPA's Nellie and Lake Lytton Endowment Scholarship Fund. We had many highly qualified applicants. The following six students were the finalists. 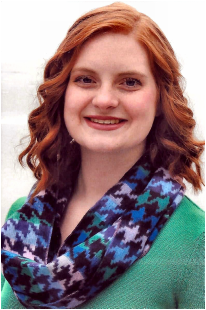 Ashley Brady is a graduate of Clear Spring High School and is currently attending Bridgewater College, Virginia. Her goal is to obtain a Bachelor of Arts degree in Elementary Education with an English as a Second Language endorsement. Ashley is active at her college as a peer advocate and as an academic coach, assisting peers with homework and studying strategies. She has been a volunteer in Bridgewater, VA, and in Washington County , MD, schools. Ashley is the daughter of Michael and April Brady. Terra Cook is a graduate of Hancock Middle-Senior High School and Washington County Technical High School. Terra is the daughter of Terry and Rebecca Cook. She has completed two years at Hagerstown Community College where she earned an Associate of Science in Education Degree. She is currently a student at Shippensburg State University, Pennsylvania, where she is a member of the Pennsylvania State Education Association. She was recently inducted as a member of Kappa Delta Pi International Honor Society in Education. Terra's goal is to receive her Bachelors degree in Early Childhood and Special Terra Cook Education.She works part-time and volunteers in her community. Portia Dobrzanski graduated from Williamsport High School and Hagerstown Community College. She will be attending Shepherd University, West Virginia. She will pursue a degree in Secondary English Education and Computer Information Technology. Portia is an active volunteer in her community and her church. At Williamsport High and at Hagerstown Community College she was active in sports and student government. Portia's parents are Paul and Chanda Dobrzanski. Sarah Shilling is a graduate of Clear Spring High School. She is the daughter of Tammy and Richard Shilling. She works part-time and has been active at her school, in her church and in the community. She has completed work at Hagerstown Community College as an Early Childhood major. She was co-president of Educators Rising. She will be attending Frostburg State University, USMH, in the fall. Evan is a graduate of Hancock High School and will attend Bethany College, West Virginia, in the fall. He is proud to be the first person in his family to attend college. His goal is to become a physical education and special education teacher. He has been very active in 3 sports and student government at Hancock High. He is also active in the community where he volunteered for several charity groups. His parents are Dan and LeAnn Wachter. Rebeckah Reed Young is a 2011 graduate of Boonsboro High School. The single mother of a four year old son, she completed 2 years at Hagerstown Community College where she earned 2 associate degrees. Her goal is to become an elementary teacher. At HCC she graduated with an Academic Excellence award as an Educators Rising member (2016-2017). She is now studying at Frostburg State University, Hagerstown Campus, in the Early Childhood Program. She volunteers and contributes to various charitable organizations. She is a member of Frostburg State Education Association and AmeriCorps. She works to finance her own education.